You can vacation where you live when you’re in Boca Raton and buy a South Florida Waterfront Home with the guidance and assistance of Boca Raton Luxury Real Estate Specialists, Philip and Carla Smith (The Smiths) of Luxury Resort Portfolio. Boca Raton, the New Stay-At-Home Vacation Destination, is the premier city on South Florida’s Gold Coast and a region renowned for being one of the world’s most luxurious playgrounds. If you want to live as though every day were a holiday, look no further than Boca Raton luxury real estate. Just south of Delray Beach, the city of Boca Raton has a long, pristine coastline, a stylish Mediterranean vibe, and more than enough shopping, recreation and entertainment options for even the most jaded jetsetter. It’s not surprising that Boca Raton luxury real estate has constantly been a first choice among wealthy high net-worth South Florida home buyers. Boca Raton luxury real estate is your entrée to the good life in a tropical paradise. When you invest in Boca Raton luxury real estate, you not only become the proud owner of a highly sought-after place of residence, you also gain access to spectacular beaches, world-class golf, topnotch shopping and dining, and internationally renowned cultural events and venues. Owning your own Boca Raton luxury real estate lets you enjoy the Boca lifestyle to the full, and it is the kind of lifestyle that is literally the stuff of dreams. One of the many elements that make this so is the perennially balmy climate; with the Gulf Stream nearby, the city is blessed with cooling breezes and sunny skies year-round. The mild weather and Boca Raton’s magnificent natural setting are hard to resist, as the popularity of outdoor and water-oriented activities will attest to. From sailing, drift fishing and quiet walks on nearly deserted beaches to surfing, water-skiing and scuba diving, your options for fun in, on and under the water are endless. Off the water, you will have a plethora of championship golf courses and state-of-the-art tennis courts to keep you active. The city maintains two municipal golf courses – the Boca Raton Municipal Golf Course and the Red Reef Park Executive Golf Course – and there are more than a dozen private courses in resorts and country club communities within the city alone. These include the Royal Palm Yacht & Country Club’s recently redesigned Jack Nicklaus Signature Course and Mizner Country Club’s and the St. Andrews Country Club’s Arnold Palmer Signature Courses. Things To Do In Boca Raton are as diverse and plentiful as the city’s recreational offerings are its range of options in Boca Raton luxury real estate. Whether you’re looking for a Boca Raton luxury beach-side condominium, Highland Beach oceanfront estate, Delray Beach yachting / intracoastal waterfront home, South Florida elite country club community or Wellington equestrian farm, the choices available here will satisfy even the most discriminating buyer. Boca Raton was designed for good living and the city’s prime selection of exclusive, gated communities, private estate enclaves and elite country clubs lets you do just that. Luxury Resort Portfolio will strive to meet and exceed your expectations in the sale of your exclusive South Florida listed homes for sale. 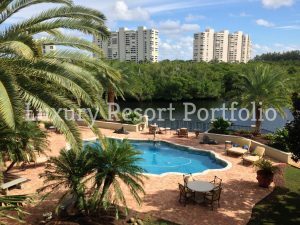 Through our distinctive Luxury Real Estate Internet Advertising and Social Media Marketing Campaigns, Luxury Resort Portfolio’s Global Marketing Exposure provides our Palm Beach County Listed Estates with the most extensive Local, National and International exposure. We are confident through our extensive marketing and negotiating techniques in the South Florida Luxury Real Estate Market, and the exposure through our widespread Internet Presence, that our Boca Raton Luxury Realtors can achieve your South Florida Luxury Waterfront Real Estate goals. 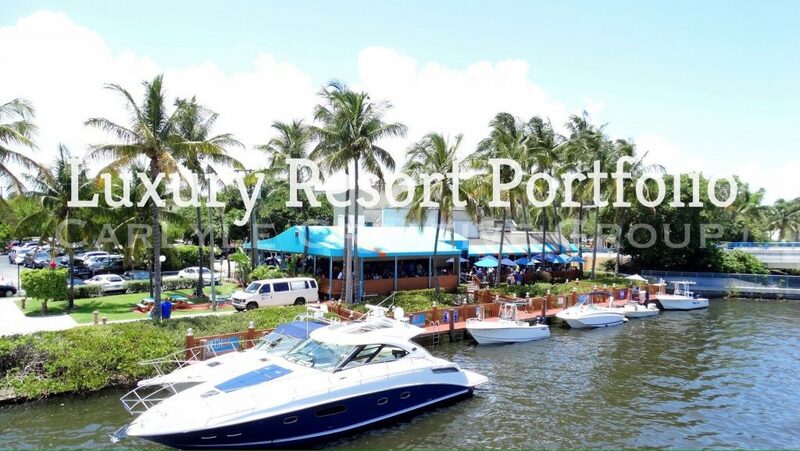 Contact Luxury Resort Portfolio now and see why we are the South Florida Luxury Real Estate Brokerage More High Net-Worth Buyers Trust For The Purchase Of Their Most Important Acquisitions. Luxury Resort Portfolio are transaction brokers representing both buyers and sellers of the finest residential property in South Florida for more than twenty-six years collectively. This entry was posted in Luxury Resort Portfolio Lifestyle Guide - The Art Of Living Well and tagged Arnold Palmer Signature Golf Courses, Boca Lifestyle, Boca Raton Country Club Homes For Sale, Boca Raton Is The New Stay-At-Home Vacation Destination, Boca Raton Luxury Real Estate, Boca Raton Municipal Golf Course, Boca Raton South Florida Waterfront Homes, Delray Beach Luxury Real Estate, Jack Nicklaus Signature Course, Luxury Resort Portfolio, Mizner Country Club, Red Reef Park Executive Golf Course, Royal Palm Yacht & Country Club, St. Andrews Country Club, vacation where you live on February 27, 2018 by Luxury Resort Portfolio.